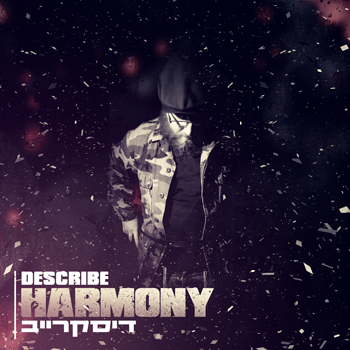 DeScribe is a Lubavitch Chassid who takes his musical mission very seriously, his creative music videos have received over 100,000 views since they have premiered and he was featured on CBS in a documentary on “Faith, Music & Culture”. The vibrant energy-driven rhythmic vibe of DeScribe is in a class & genre of its own. He mixes a combination of Hip Hop, Reggae, and R&B. You can check out his music here. He is now back with a new album and music video called “Harmony”. As Shemspeed writes about the song: It’s been almost 20 years since the Crown Heights riots showed the ugly face of racial tension that exists between the Black and the Jewish communities in this Brooklyn neighborhood. Many efforts since then have been made to create multi-ethnic/cultural programming and social structures to work towards peace and mutual understanding between the two communities, but still today a lack of real communication remains, and most of all, the tension still remains. In a recent wave of violence and rising crime in Crown Heights it has become obvious that we must push for “raising an awareness of the need for racial harmony in Crown Heights and in the world.” DeScribe, in collaboration with a multi-racial group of Crown Heights and Brooklyn residents, is attempting to do just that through a powerful new Hip Hop music video which delivers a clear and conscious message of racial and religious HARMONY. The CD is available here. For a limited time there even selling signed and numbered copies. That’s where you are wrong. This isn’t a yeshivish site. It’s a Jewish music site. We are sorry, if you’d like to discuss policy feel free to email us. You will be missed.